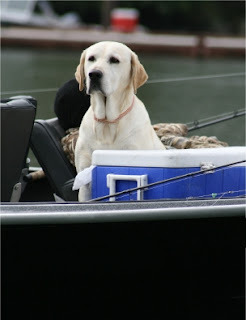 We All Get Heavier As We Age - And So Do Our Boats! We keep getting reminded that we are getting heavier as we get older. No matter where we turn, someone is telling us that we are getting fat and need to be thinner! 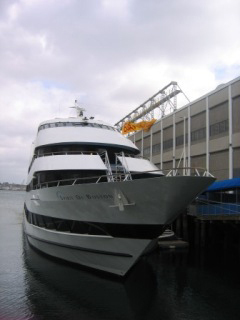 We'll be in Boston for the New England Boat Show beginning on Saturday as the winter boat show season winds down. 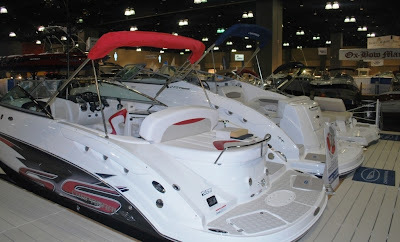 Exhibitors are displaying new products this year and offering great deals - a winning combination if you are thinking of buying a boat or boating accessories any time soon. Our friends from BoatNameGear.com will be at the New England Boat Show all next week in Boston, beginning this Saturday, at the BCEC. 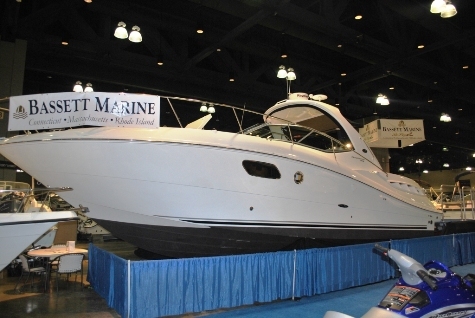 To help make the show a success, BoatNameGear is giving away a $200 gift certificate which you can register for in the show lobby, and they are holding an additional $100 contest at their booth. You can win both. More details about this show are available here. Keep reading for free stuff just for FirstBoat fans, and to find out about other boat shows this weekend - there may be one near you! 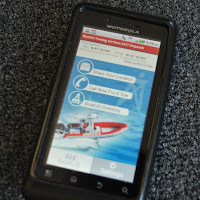 When BoatUS announced last week that they came out with a new smart phone app for boaters, we had to check it out. We downloaded the app for the Droid (it’s also available on the iPhone) and played around with the program’s features to see if they live to the hype of the company’s announcement. In many ways they do, especially given the app's price - it's free. There are boat shows all over the world this weekend, but the biggest boats and crowds will be in Miami, Florida, for the Miami International Boat Show and Strictly Sail - one of the most important winter events for the boating industry. 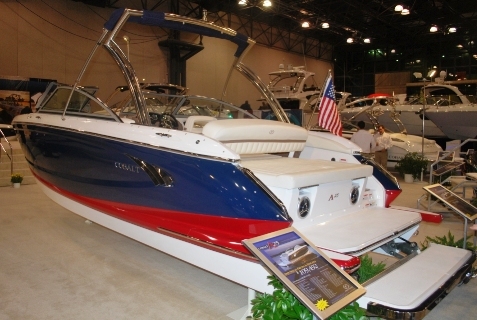 Boat manufacturers and companies that make products for boaters often unveil their latest offerings at this show each year, and the success of the show is usually an indicator for the upcoming boating season and the rest of the year. 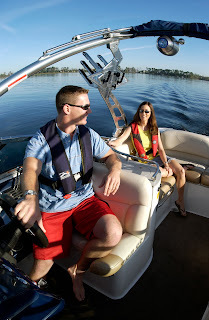 This year's new announcements include new lines of boats from Powerboat P1 USA, Mercury Racing, Tiara Yachts, Contender Boats, Pursuit Boats, Sea Ray and Honda Marine, to name a few. 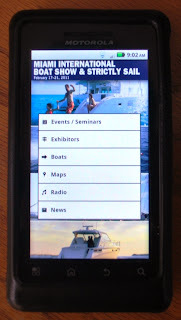 The boat show itself has a new product for your mobile phone - the Miami International Boat Show and Strictly Sail App. We downloaded the Droid version (it's also available for the iPhone), and found it to be easy to use and helpful to navigate the huge boat show. Going to the show? Got news from the show? Wondering which day is best to go? 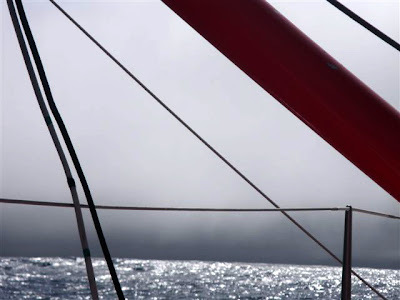 VELUX 5 Oceans competitors have Cape Horn on their mind. 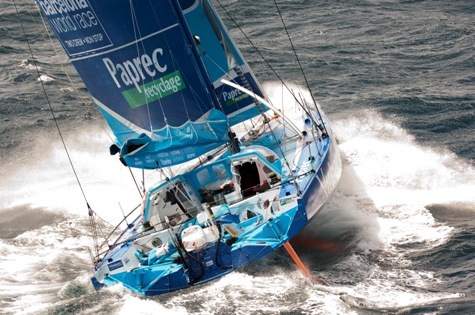 Barcelona racers approach Cook Strait. 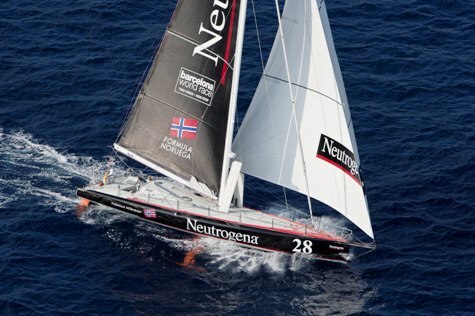 Sometimes it’s hard to imagine as we go on with our day to day lives that there are a handful of sailors racing across the world’s oceans in two separate competitions, each of which spans several months and tens of thousands of nautical miles. If you’re looking for a romantic Valentine’s Day dinner and you recently caught (or bought) some swordfish, we have the ideal recipe for you. 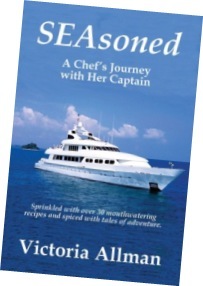 Author and yacht chef Victoria Allman has just written and released her second book - SEAsoned: A Chef’s Journey With Her Captain, and has provided us with the following tasty treat to share with you. This is an easy and tasty way to cook fish. 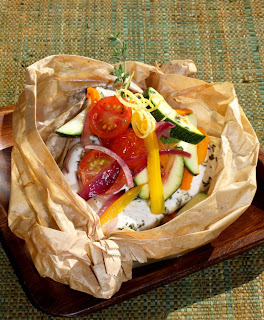 You create a steam oven with the paper that keeps all the flavor and juices in the package while cooking. The vegetables and steam create a sauce for your fish. Keep reading for the full recipe. Each week we post a nautical tune to help you get your weekend off to a great start, even if you can't get out on the boat or to a boat show. And if you can't get out on a boat this weekend, you're not alone - there is ice and snow covering much of the country. But don't despair. You can always think about Elvis, dressed the way Hollywood must have imagined fishermen in the early 1960s, singing a song about the sea. 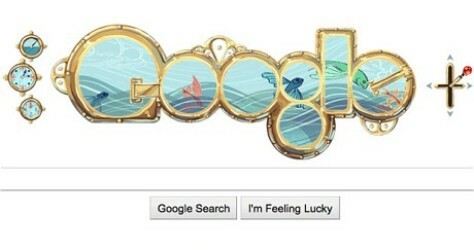 Didn't Hollywood know that fishing is one of the most dangerous jobs in the world? Each Thursday we let you know about all the big boat shows for the weekend, and we have plenty to tell you about this week. 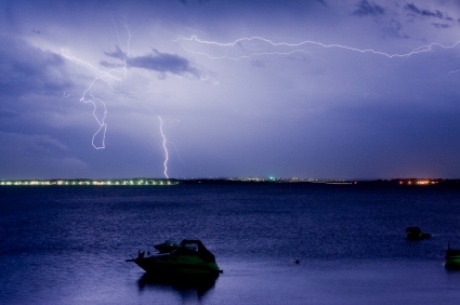 Another wintry day in the Northeast, another sailing report on the Daily Boater. 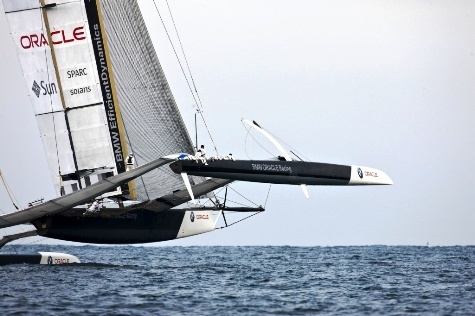 With snow and ice covering most of the United States, we thought we would cover some sailing events today so that we can dream of being somewhere warmer. Yes, it's Groundhog Day, and we don't have to watch the news to know that Punxsutawney Phil didn't see his shadow. We are REALLY hoping this results in an early spring as promised by that adorable little rodent.